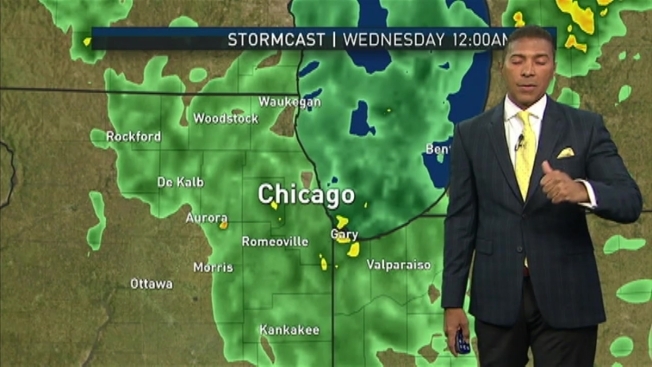 NBC 5 meteorologist Byron Miranda has your latest forecast update. Scattered thunderstorms are expected to hit parts of the Chicago area Tuesday afternoon and evening. Mostly cloudy skies will give way to passing showers and isolated storms at time throughout the day. Though widespread severe weather is not expected, there is potential for one or two strong storms to bring heavy downpours, lightning, gusty winds and even the chance for an isolated tornado. Temperature highs will reach into the 60s, turning cooler along the lakefront by the afternoon. Any showers and storms that do develop are expected to end early as conditions stay cloudy and cool. Wednesday looks to be overcast, breezy and even cooler with another chance for scattered showers. Moderate rain is possible in northwest Indiana by the afternoon and evening. Thursday looks to be dry but cool with highs in the 60s.